Ivan and the Immortal King is based on the Russian hero by the name of Ivan Tsarevich and his ambitious mission to defeat an immortal king, Koschei. With free spins, increasing multipliers and the Baba Yaga Surprise, the slot from QuickSpin has a top payout of x100 total bet! According to folklore, the life force of Koschei was contained within a needle, found inside an egg, inside of a duck, within a hare and inside of a treasure chest. The only way to defeat the king was to break the needle. Symbols relevant to the story comprise Ivan, the king, magic wolf, bird of fire and princess. Five lower-value gems contain the complement of the symbols. The developer has done a great job of pairing the soundtrack with attractive artwork. The wild substitutes for all symbols but the bonus scatter and progress scatter symbol. The wild can also form its own payline win of up to 200, 2,000 or 10,000 respectively. The mysterious witch Baba Yaga appears when you’re short of the required number of scatter symbols to unlock free spins. The witch is temperamental and may choose to help you – or not! If she’s feeling charitable, then she will conceal four adjacent symbols at random to substitute in one of two potential ways. Firstly, between one and three concealed symbols will be swapped with progress scatter or bonus scatter symbols in the free spins or base games respectively. The second way is where all the hidden symbols are substituted by a randomly determined symbol for a guaranteed win. During the base game, it is conceivable that 10, 14 or 18 free spins are triggered with 3, 4 or 5 scatter symbols at the Chest, Hare or Duck level respectively. In the free spins, progress scatter symbols collected in sets of 3 elevate you to the following multiplier level while simultaneously supplying four additional free spins. Multipliers commence at x1 and as your level increases, so too does the multiplier to a maximum of x20. 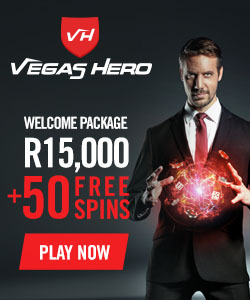 Likewise, your ten free spins can increase to as high as thirty free spins. 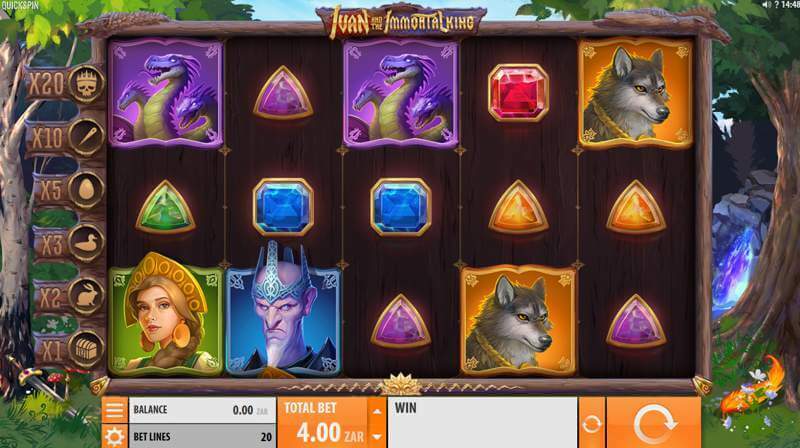 The December 2018 release, Ivan and the Immortal King slot has higher volatility with a return to player of 96.29%. The game can be played with at least 0.20 to as much as 100. The game was designed with mobility in mind and is compatible with tablet and mobile, operated by an Android or iOS device. Played on 5-reels and 20 fixed paylines, the quest begins to seize Koschei’s gold! Ivan and the Immortal King is based on the Russian hero by the name of Ivan Tsarevich and his ambitious mission to defeat an immortal king, Koschei.